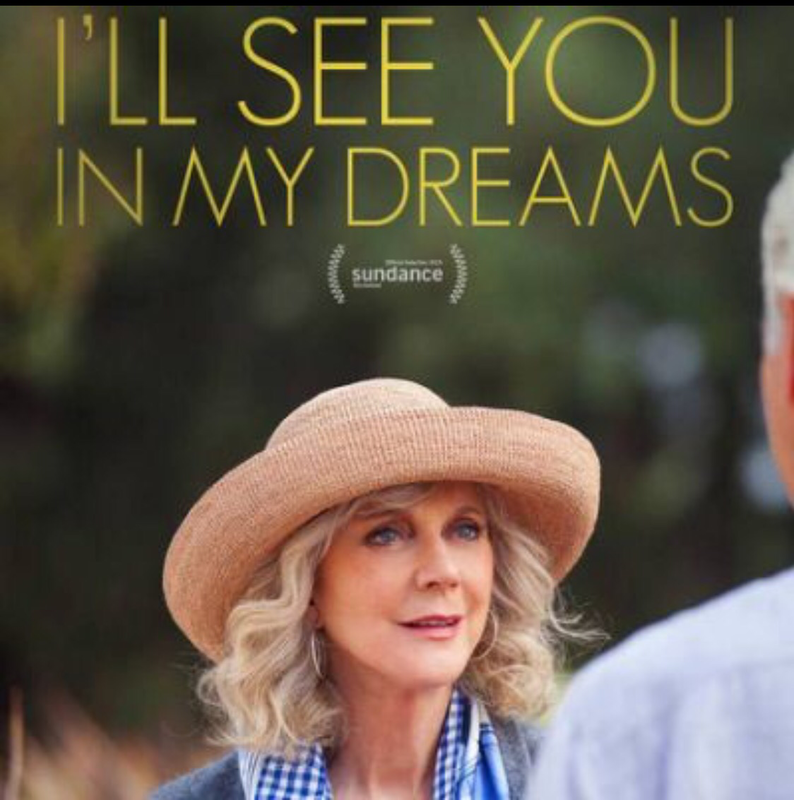 Last weekend, I watched two movies that I didn’t know would’ve been so related but they both dealt with love and loss in a big way. I went into the movies blind i.e. I had no idea what they were about but I loved them so much that at the end of the second flick, I just sat in the dark theatre, surrounded by ushers sweeping up the popcorn, and cried for a good few minutes. Yes! Tears are a good sign where movies are involved. Carol is a retired singer and teacher who lives with her dog in sunny California. Her friends all live in a retirement community on a golf course and she visits them to play cards, but refuses to move into the community herself. Her husband is dead, his ashes on the mantlepiece. The recurring items on her To-Do list are dry cleaning and walk. When the dog she’s had for 14 years suddenly dies, she realizes how empty her life is. Then a giant rat starts stalking her… in her house. Enter the pool guy who tries to help with the rat but ends up starting an awkward relationship with her. Then, she meets Bill, another resident in the retirement village who does not intend to go gently into that good night. Their relationship moves fast because there’s no time to waste. If you’re looking for an action packed, thriller, keep it moving. This movie is billed as a comedy, not a thriller. For the first five minutes or so, the most action is the dog dying. But the pool guy is hilarious. The love triangle is even more hilarious. And even though the friends, who are all funny people like Rhea Pearlman, only play minor roles, they still have some great scenes. An even if I didn’t quite get the title, this is an existential movie which forces you to ask the big questions about friendship and love. Bathsheba (Carey Mulligan) is an orphaned young woman, living in a time when it’s not good to be alone. She’s too educated for her status – she has worked as a governess but now she is working on a farm, milking cows, turning hay and indulging her passion for horseback riding. When she meets the shepherd neighbor, Mr. Guy, he’s instantly smitten and by their second conversation, he asks her to marry him. He has 100 acres and 200 sheep and he can offer her a life of ease. She declines – she’s interested but she doesn’t want to be anyone’s property and she would rather be alone and independent. Overnight, their positions switch. Mr. Guy loses his fortune and Bathsheba inherits a farm, where unbeknownst to either of them, he starts working for her. Even if she changed her mind, how could she marry Mr. Guy now? And she has to marry someone. If she doesn’t, who will inherit her farm? Enter her new neighbor. Will she marry him if he asks? And what role will Fanny and her soldier fiancee play in Bathsheba’s life? This is historical fiction at its best. And I’ve since put the novel (written by Thomas Hardy) on my list. Watch this movie with lots of tissue to wipe your eyes and popcorn to throw at the screen when you figure out who the villain is – you will either be very angry or very grateful when he does what he does! I read FFTMC a few years ago. It was one of those deals where you get three novels in the same binding. I mostly wanted it for Tess of the D’Urbevilles, which still breaks my heart. I look forward to seeing this movie. Interesting! I actually own a copy of Tess of the D’Ubervilles and have never read it. I am planning to read it for my book challenge -one category is a book I own but have never read. I find multi-books hard to deal with. Was yours a small print so lighter and easier to carry around? These look so good and right up my alley! I love sweet, funny sentimental stuff and also love historical fiction! Will have to check them out! Trust me, they were good. If you have to choose, go for the Madding Crowd. I would love to hear what you think. Good. I am working on a list of beach reads for a post next week. Look out for it. I saw both of these movies and I thought your review was accurate and you didn’t give away too much of the movies. If I hadn’t seen these movies, after reading your blog, like Carol, I would definitely put them on my to do list. Thanks, Paul! It’s important to not give too much away when you review a book or movie. So people will want to read/watch too. Did you cry at any of the movies? What was the thing that moved you the most? Oh gosh, I haven’t seen a movie in SO long! I’ve never even heard of these. They sound good though! Maybe you can treat yourself to a movie for the long weekend. I recommend it. No I didn’t cry but I did allow myself to be emotionally invested. I was moved by the determination demonstrated by many of the characters to not be defeated by their situations. I was also moved by the song Lloyd sang to Carol. Lloyd was definitely my favorite character in the movie. 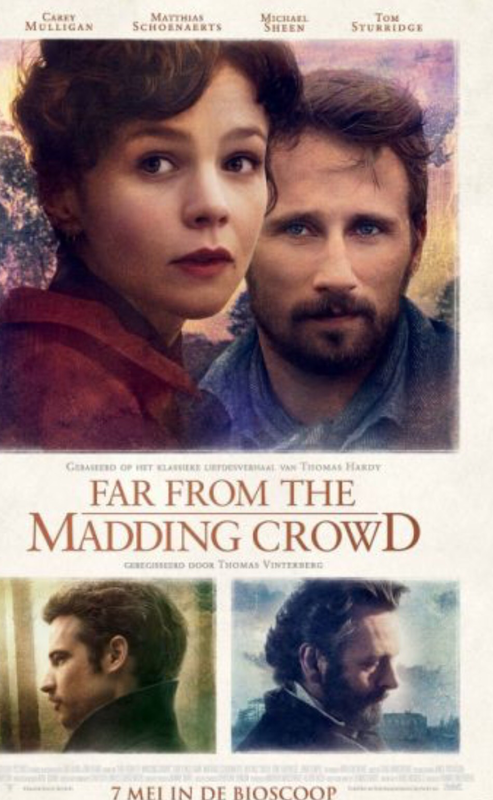 Far From the Maddening Crowd sounds interesting and I’ve always enjoyed Carey Mulligan’s performances in movies. She was truly remarkable in this too. And now I need to check these out!! Ive never heard of them but they sound like my kind of flicks! 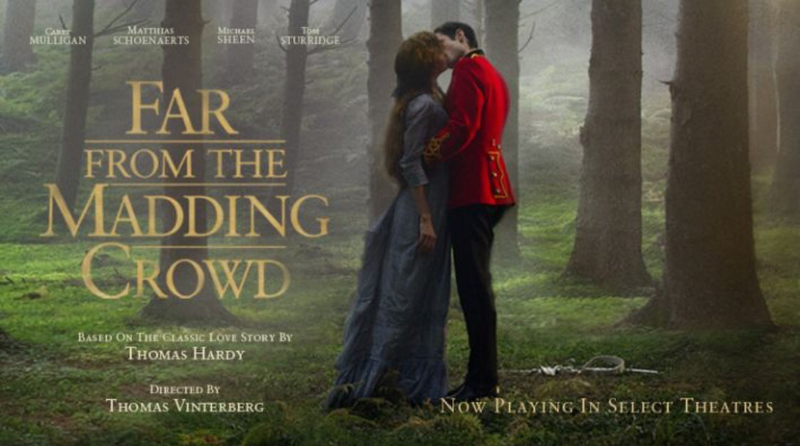 I think you would love esp Far from the madding crowd. Thanks for sharing, Run Wright….In the first movie, I loved the scenes with the pool guy, too; he was kind of awkward and dorky, but sweet. The rat scenes were scary-hilarious….at first, I thought she was imagining the rat. There were quite a few moments that I loved and could relate to….the friendships and the dialogue were great, IMO. Thanks for visiting my review. I think it was done so we would think she was imagining the rat at first. Pool guy’s scenes were really well done. That moment when he tells her the pool job wasn’t for him and he got a new job. I don’t want to give it away what his new job was but… Hilarious!